Proofreading requires concentration on often large documents for extended periods of time. A small desk and laptop in a busy, noisy open plan office is hardly conducive to performing this task well. Ergonomic desk and seating design to ensure comfort for long periods of sitting still. Comfortable temperature for sitting still for long periods. Lighting suitable for long periods of concentration on documents containing small text. Quiet area, free from audio and visual distractions. Adequate clear desk space to lay out large documents and checklists. Multiple screens to allow easy comparison of multiple documents. This is the eleventh of a series of 15 blogs giving a view of the causes of proof reading errors. Please help me improve the thinking by adding your comments and share this with others who may have a view. 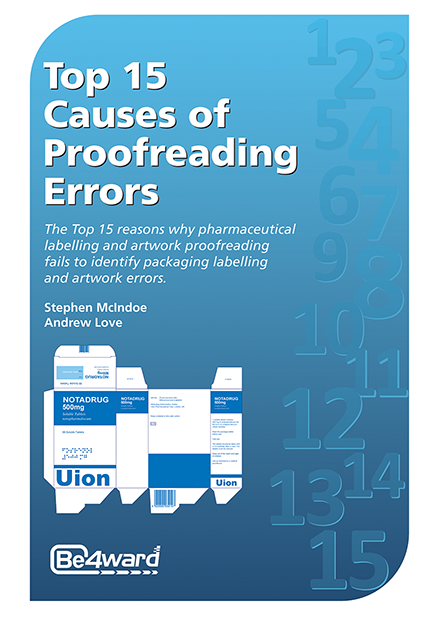 To obtain an e-copy of our Top 15 Causes of Proof Reading Errors booklet, go to www.be4ward.com.